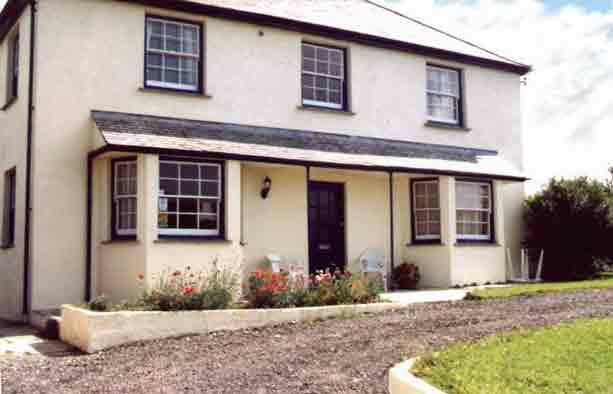 VENN PARK is now a privit home but was a B&B and a working sheep farm, set on the North Cornish coast, with its rugged cliffs, clear water and sandy beaches. There are extensive views across the sea as far as the island of Lundy and inland, Dartmoor is visible from the house, which is within an area of outstanding natural beauty. The Georgian-style house has been modernised to a high standard, providing an opportunity to thoroughly relax and unwind in well-appointed, comfortable and friendly accommodation, which includes both double en-suite and family bedrooms. All bedrooms have colour TV and coffee/tea-making facilities. We offer traditional English cooking and wherever possible use fresh vegetables, English meat and provisions. Dinner is available when requested. Please say if you prefer vegetarian dishes. You are welcome to bring your own choice of drinks as we are not licenced. You will find yourself less than two miles from the pretty sandy beach cove of Crackington Haven, four miles from the picturesque harbour village of Boscastle from where sea fishing can be arranged and with easy walking access of the south-west coastal path.